At the Preschool of ESM we aim to enable students to become life-long learners and to equip them with the academic and life skills needed to take them into the rapidly changing global world they are growing up in as responsible citizens. We provide quality educational programs which are underpinned by evidence based approach to education and child development. We are consistently pushing an improvement agenda and adopt progressive education programs such as International Baccalaureate Primary Years Programme (IB PYP) framework in curriculum areas such as Inquiry through Transdisciplinary units. We are a community-focused school which seeks to draw upon the expertise in our community and give back to the community. 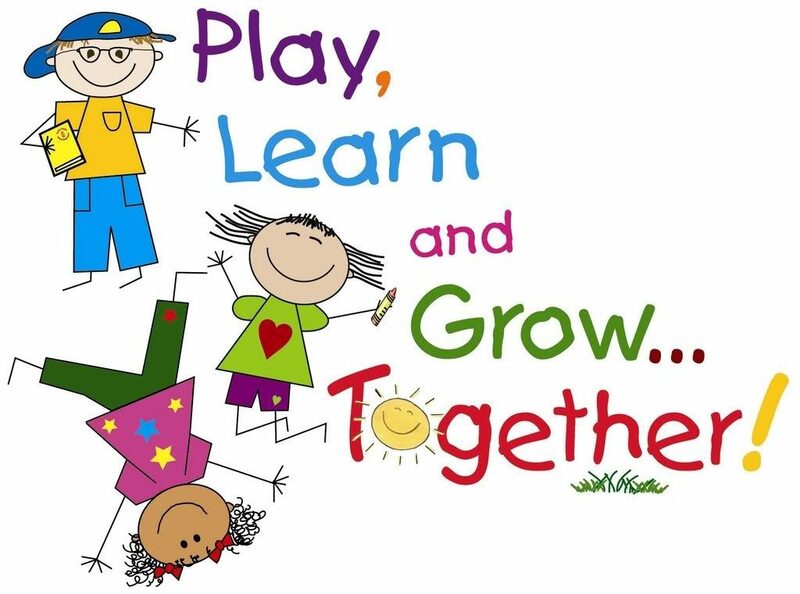 We develop rich cross-age connections across our school and provide social opportunities for our students to play and work with kids of all ages. Our school is underpinned by an explicit focus on care for others and the celebration of progress and achievement. We pride ourselves in providing a personalized education for each child, knowing each child as learner in the broadest sense. We have an explicit focus on Personal and Social development and on nurturing the whole child. We have highly regarded strengths in educational leadership, being consistently recognized at state, local and international levels for our progressive approach to education. We provide a welcoming, friendly environment for all members of our school community: happy kids, happy teachers in a collaborative, open learning environment. Contributing positively to society and the environment is our shared responsibility. Our lives and the life of the community are enriched by diversity. The aim of the IBPYP is to develop internationally minded people who, recognise their common humanity and shared guardianship of the planet, help to create a better and more peaceful world. According to the PYP, the “curriculum” revolves around the concept of learners constructing meaning, and everyone at a PYP school, including the teachers, is a learner. The PYP model of curriculum is student-centred. It is founded on the belief that learning occurs when students (and teachers) build on their prior knowledge and engage in activities that help them construct new understandings. This process involves continuous self-reflection, the freedom to ask questions, the motivation to take risks and the desire to take action based on what one has learned. Caring – I show empathy, compassion and respect towards the needs and feelings of others. I have a personal commitment to service, and act to make a positive difference in the lives of others and our environment. Balanced – I understand the importance of intellectual, physical and emotional balance to achieve personal well-being for others and myself. Principled – I act with integrity and honesty, with a strong sense of fairness, justice and respect for the dignity of individuals, groups and communities. I take responsibility for my actions and the consequences that accompany them. A Communicator – I understand and express ideas and information confidently and creatively in more than one language and in a variety of ways. I work effectively and willingly in collaboration with others. A Thinker – I exercise initiative in applying thinking skills critically and creatively to recognize and approach complex problems, and make reasoned, ethical decisions. A Risk-Taker – I approach unfamiliar situations and uncertainty with courage and forethought, and have the independence of spirit to explore new roles, ideas and strategies. Knowledgeable – I explore concepts, ideas and issues that have local and global significance. In doing so, I acquire in-depth knowledge and develop understanding across a broad and balanced range of subject areas. Open-minded – I understand and appreciate my culture and will be open to the perspectives, values and traditions of other individuals and communities. Reflective – I give thoughtful consideration to my learning and experiences. I assess and understand my strengths and limitations in order to support my learning and personal development. Our Primary School curriculum is inspired by the IB Primary Years programme (PYP) which prepares our children to be active participants in a lifelong journey of learning. The main language of instruction is English and they go through their inquiry journey having it as a means of communication. The IB Primary Years programme (PYP) is offered from the age of 3 years (Early Years) transferring into junior school programme of PYP at the age of 6. The PYP focuses on the personal growth of each child encompassing social, physical, emotional and cultural needs in addition to academic skills. The philosophy of the PYP, as it directly affects the child, is expressed in a series of desired attributes and traits that characterize students with an international perspective – the IB Learner Profile and the IB Attitudes. Attitudes, which contribute to international-mindedness and the wellbeing of individuals and learning communities, and connect directly with the IB learner profile. Action, which is an expectation in the PYP whereby successful inquiry leads to responsible, thoughtful and appropriate action. The PYP provides an opportunity for learners to construct meaning, principally through concept-driven inquiry. Traditional academic subjects such as English, Math, Science, Social studies, P.E., Visual Arts, Music, Dance, are part of the programme but PYP emphasizes the interrelatedness of knowledge and skills through a transdisciplinary programme of inquiry. The most important premise of the PYP is that children learn through their own curiosity – and that it is the school’s responsibility to encourage them to be curious, to ask questions and to explore ways of finding the answers to their questions. This is called Inquiry Based Learning, and it shapes our entire programme of the Preschool at PYP. Language is the major connecting element across the curriculum. Therefore, in ESM the focus is not only on language for its own sake, but also on its application in everyday life and throughout the trans-disciplinary programme of inquiry. It also facilitates connections with the wider community. Language provides a vehicle for inquiry. In an inquiry-based classroom, teachers and students enjoy using language, appreciating it both functionally and aesthetically. The love and enjoyment of language through the integration of literature into inquiry is an indicator of good practice in a PYP classroom. The PYP has identified three strands – oral language (listening and speaking), visual language (viewing and presenting), written language (reading and writing) – learned across and throughout the curriculum, with each strand being an integral component of language learning. Each strand has been considered from both the receptive aspect – receiving and constructing meaning, and expressive aspect – creating and sharing meaning. The mathematics knowledge component is arranged into five strands: data handling, measurement, shape and space, pattern and function as well as number. Within each of these interconnected strands within Mathematics, there should be a balance between the acquisition of knowledge and skills and the development of conceptual understanding. In the pattern and function and number strands, students inquire into number systems and their operations, patterns and functions. They become increasingly fluent in using the language of mathematics as they learn to understand its meanings, symbols and conventions. Data handling, measurement, shape and space are the areas of mathematics often used as tools used to research, describe, represent and understand the inquiry. They provide the models, systems and processes for handling data, making and comparing measurements, and solving spatial problems. It is a requirement of the PYP that Social Studies and Science are incorporated within the context of the units of inquiry. Children also study units that are science- or social studies-based so as to offer opportunities for in-depth inquiry and the development of skills in relevant, meaningful contexts. PSPE provides the model, process and vocabulary for handling social and personal issues, and ensuring health and wellbeing. Owing to the fact that wellbeing is intrinsically linked to all aspect of a child’s experience at school and beyond, PSPE will be included throughout the curriculum. The development of overall wellbeing is defined through three common strands: identity, active living and interactions. Our P.E. teacher works in close collaboration with the teaching team and children to ensure that the physical education experiences are concept-driven and draw upon the conceptual understandings within these strands. As our school values the expressive and symbolic languages of children, the arts are incorporated into the curriculum and units of inquiries as essential areas of learning. Children are offered the opportunities and materials to engage in a range of performing arts (dance, drama, music) and visual arts experiences. Our Visual Arts teacher works with the children on inquiries that connect with their expression of ideas through the arts.